Have you ever wanted to just sell the house, pack up your life, buy a bus, and just start travelling around Australia? Perhaps, you're sick of all the common worries such as mortgage repayments, getting your kids through school, and having a fulfilling career, and just want a change of scenery. 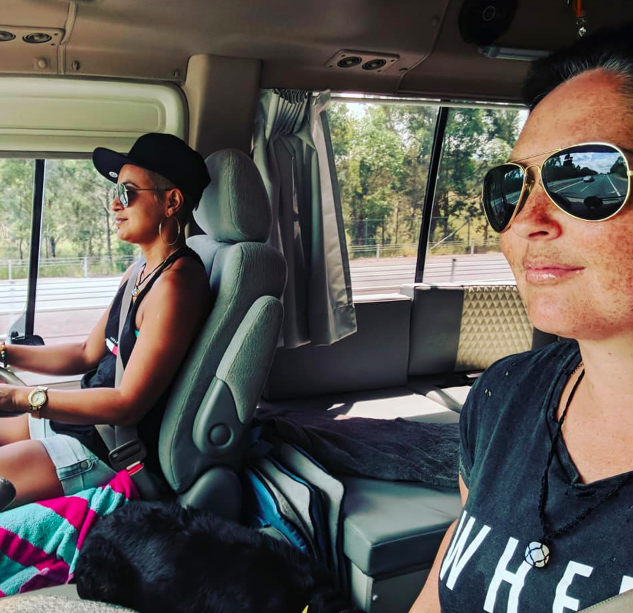 We're pretty sure such escapist fantasies about travelling around Australia are fairly common, that's why we wanted to share Channa and Saf's story, as they did just that. They put one campervan on Camptoo to earn an income while they travelled around Australia in their other camper. Channa and Safron both had stable jobs, a lovely house to live in and all their ducks in a row until they decided they wanted to try something new. For some people, trying something new might mean ordering a long black instead of a flat white, buying a new vacuum, or trying a new series on Netflix. 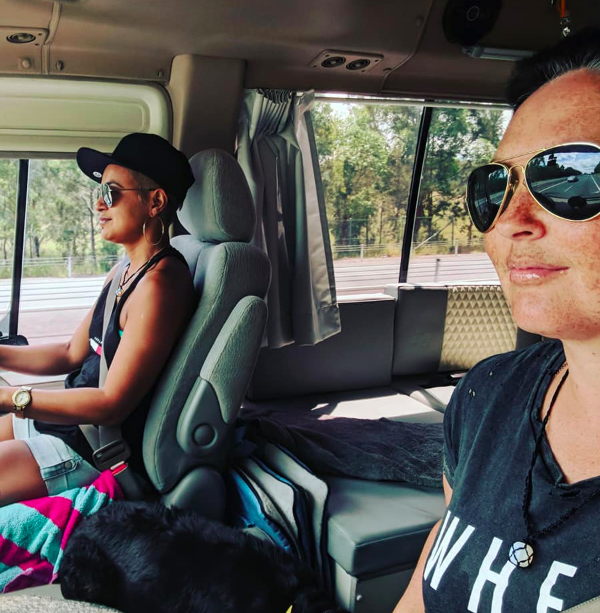 For these two, it meant buying a bus and setting the goal of travelling around Australia for an adventure of a lifetime. Can you give us a bit of a background on yourselves? We’re both 38 yrs old and we’ve been together for 19 years. We moved to Brisbane together in 1999 (remember when y2k was a thing?) from Auckland, New Zealand. Like many other Kiwi’s we wanted to try something different and Australia was full of opportunity so we jumped on a plane. Saf was a dental assistant and I was in mining so we had steady jobs. We love the life we have built over here and both share a passion for travel. How long has travelling around Australia been an idea for and what inspired you? We have lost a few very dear loved ones over the last 2 years, so this made us question if we are making the most of our lives? Are we living our best life? We decided to head off on a 5 week road trip to the Great Ocean Road in our bus with our two dogs. 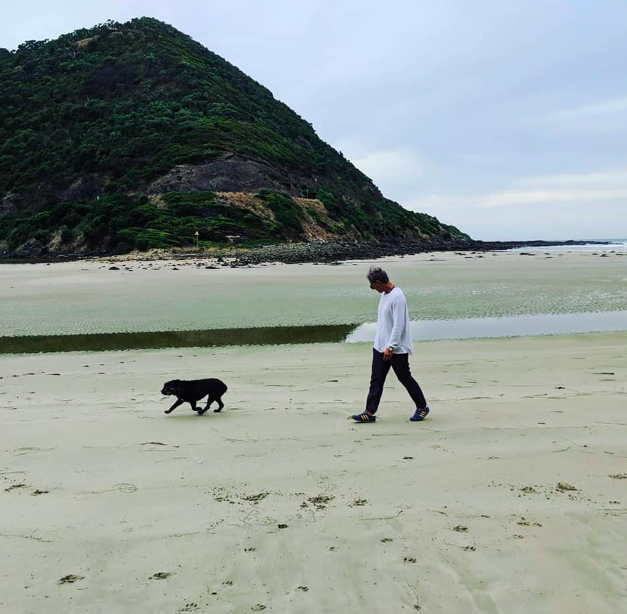 We free camped, woke up to walks on the beach, stayed in a couple of caravan parks, met some amazing people that were living full lives, and napped by the river whenever we needed to. It was absolutely incredible! 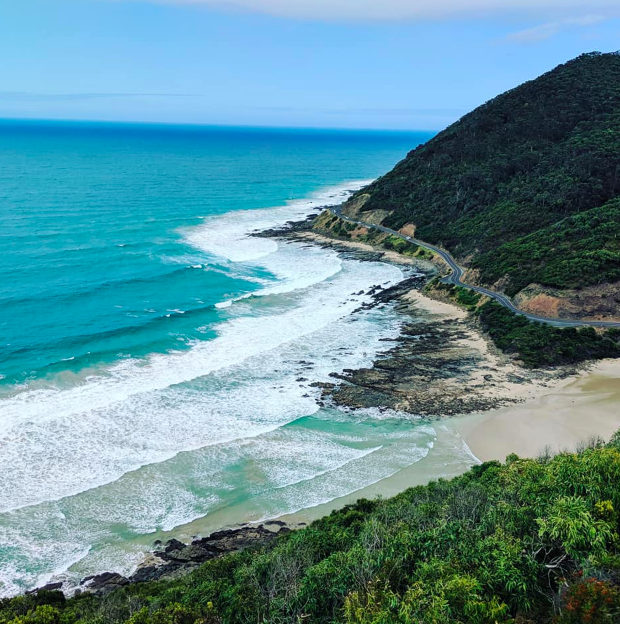 Travelling The Great Ocean Road was an experience that inspired them to travel around Australia. So on our return, changed by our experiences, we chose to follow our hearts, which set the cogs in motion for travelling around Australia. We rented out the house, packed up our dogs, furniture into storage (not the dogs, of course!) and off we went to start travelling around Australia for the next 12 months. Our only plan is to head north and anticlockwise. To beat the wet season through the top end, and hug the coastline for most of the trip. The dogs are rather excited to discover a few beaches as well! We’re super excited to experience the coastline of WA, though as far as between here and there we are just going to enjoy the journey. We’ll stop when we’re tired, cook our lunch in a new location every day and ask the locals (As long as they don’t look like the Wolf Creek types) for great places to visit as we travel around Australia. How do you plan on funding the trip? We have some savings but we are planning on going a while. We still wanted a way to create a passive income while travelling around Australia and came up with a few ideas to keep costs low. After chatting with the guy who fitted out our bus, he told us of another customer who rents his vehicles through Camptoo and makes a good return. 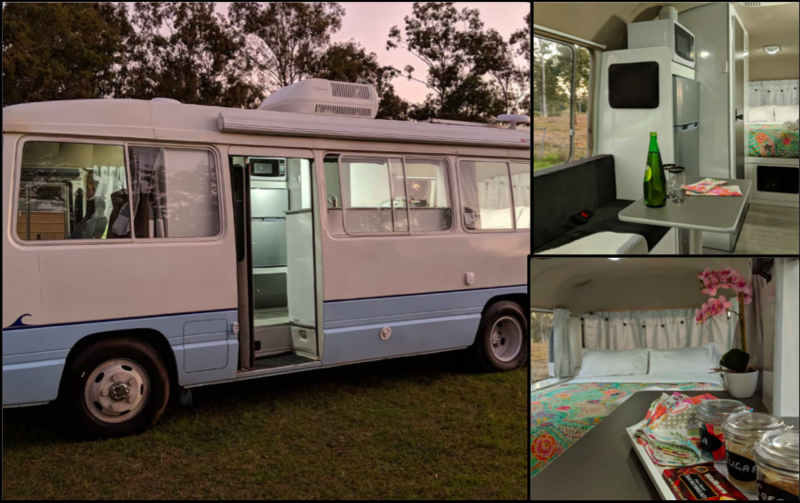 So we thought if we could find another camper that could stay at home and be rented out whilst we were travelling around Australia we could earn a good income. We searched and searched online and finally found Jasper in Cairns! We flew to Cairns and drove back to the Gold Coast for fit out. Jasper didn’t miss a beat. We look forward to watching their journey unfold as their ultimate experience of travelling around Australia unfolds. If you want to get inspired you should follow their Facebook page The Coaster Cartel to keep up with their adventures! You can also hire their second bus Jasper on Camptoo. Its really amazing and you can check it out here.